3 years ago today I launched this blog. I never had any expectations, I just felt like writing about my experiences with cameras I liked shooting with. After a little bit of time, I got a bit of momentum with it, and soon started enjoying the film photography community that it became a part of. It wasn’t long before I started taking it a little more seriously, but even then I never expected it would be where it is by the end of the third year. I now have thousands of people visiting the website every day, a few of whom contribute posts for me regularly. Frankly, it’s wonderful, and I couldn’t be more happy with how its all turned out! One thing that started happening more and more as the site began to grow was all people getting in touch to tell me that they would donate money if I provided such a facility. I didn’t, and somehow the idea made me slightly uncomfortable. That was until I figured that rather than donate to me, people could donate to a cause. 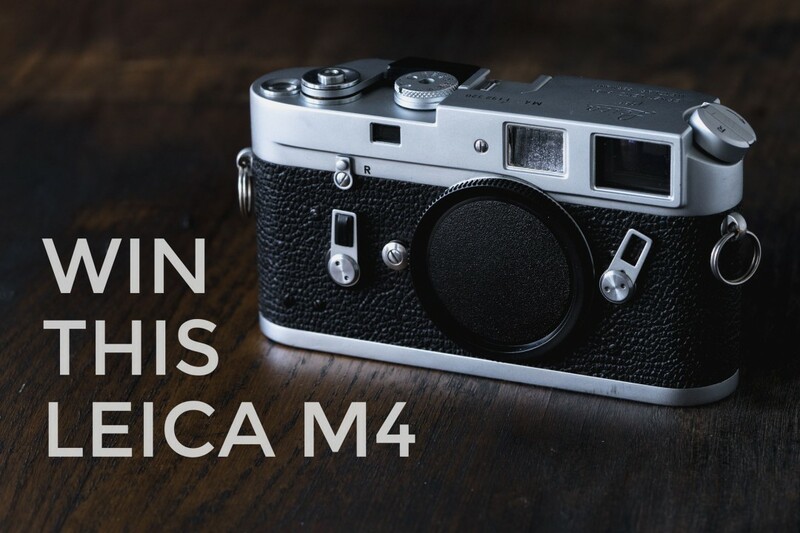 I decided that cause would be raising money to buy a Leica M4. Once the cash was raised and the camera bought, the idea was to review it and give it away to someone else in the film photography community. A couple of weeks ago I found a nice looking M4 for £530. I mentioned on social media that I’d found the camera and soon the final £100ish of contributions I needed flowed in and I met my target of £400. The camera was bought, and it arrived with me about a week ago. A couple of days later I realised the blog was about to turn three – What better time could there possibly be to launch the competition to win it?! Before I talk through the details of the competition, I just want to say thanks to everyone who has supported the blog over the years, all the people who have contributed content, and latterly all the people who have, and continue to contribute to the pot to buy cameras! 2.0.0.1 Do you enjoy reading 35mmc? I want to see a photo you have taken on a 35mm compact point & shoot camera. To make it a little more interesting, the camera must cost and be worth no more than £10! I don’t mind what film you use, or how you process it, scan it etc, as long as the camera is worth no more than a tenner! There are plenty of cameras that cost as little as this. I have reviewed a fair few of them myself, and invariably manage to get pretty decent photos. Examples include Olympus AF-10 Super, Canon Prima 120, Ricoh ff90, Minolta AFZ, Olympus mju-iii etc. If it is autofocus, autoexposure, made in the late 70’s, 80’s or 90’s, is predominantly plastic bodied and regarded by many people as a bit crap, you are probably on the right lines! The idea is about harnessing and or defeating something that is bit on the basic side to take a photo that belies the cameras nature! 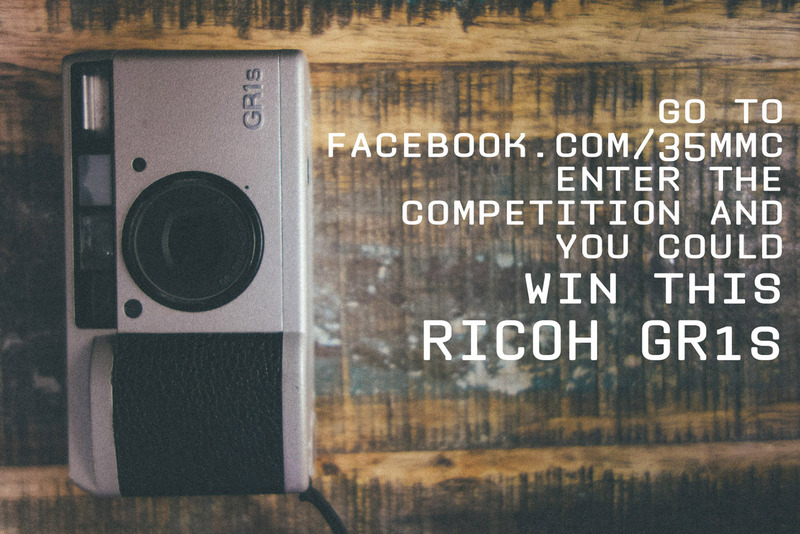 If you are unsure about a camera, ask me in the comments section below, before you enter! Fortunately, because I need enough time to write my review, I’m going to give you a long time to enter. The deadline for entires is the 19th of July. That’s two months. Enough time to buy a camera, take a photo and enter it if you don’t already have a camera. I have a strong idea of what I am looking for, so as I say, I am going to be really strict with these. I hope I am leaving no grey areas but if any come up I will add to these and tighten them up as I see fit. The photo must be taken with a camera bought for less than £10 (or the equivalent in your local currency). The camera must not be worth more than £10 if you were to resell it. So no charity shop bargain Contax T2’s please!! The camera must be a 35mm point & shoot camera like the examples above – if its made of plastic you are probably on the right lines! Only one photo to be entered per person! The photo must be taken this year! Please remember this is supposed to be fun. I know it is a really nice prize, but all this is supposed to be about a reflection of how positive the film photography community is! If you don’t shoot with these sorts of cameras usually, go out and buy one. There are millions of them on ebay, in charity shops, at car boot sales etc. Find one, load a roll and take some photos – you never know, you just might enjoy yourself more than you expect! I’m looking for a good photo – both objectively and subjectively speaking. I want to see an image that belies its origin as being taken with a cheap camera. There are some really great automatic point & shoot cameras out there that can be had for next to no cash at all. I want this to be a celebration of just what these sorts of cameras are capable of. The photos will be judged by a few photographers who I have I worked with on other competition projects in the past. Whilst I will have a part in the short listing process, the final judging process will be based on the collective decisions of a group of 5 or 6 people who only know each other through social media. In the past we have found that this removes any possibility of bias winning out, and the end result is always completely fair. I will be asking the judges to consider objective and subjective quality of the images and value of the camera. Lower valued cameras will have an advantage if the judging comes down 2 favoured images. Just enter you first name, surname, email address, the details of your entry and upload a photo – simple as that! I can only accept JPG files, I’d like them to be 2000px maximum on the long edge, and please keep them less than 300kb, tops! Just so you know you will also be added to my list of email subscribers. My main reason for taking your email address is to make administering the competition easier. If you don’t like/want my email updates, I’d recommend waiting until the competition is finished before unsubscribing – though you can of course unsubscribe at any time. Hi Hamish, I can’t see a closing date. Thanks! Can I use my Superheadz Ultra Wide and Slim plastic camera to join? Thank you! I have two clarifying questions: is it strictly 35mm or would say an old 120 box camera be okay? Second. I is it strictly af, or are the ‘focus free’ compact cameras fine for the competition? How about a Yashica T2? Does the XA3 work for the contest? Or the Canon Sure Shot WP1? This is an awesome thing you are doing, your blog is a regular destination for me on the web. Does the camera have to have a fixed focal length or can we use one of the compact super zooms that were so prolific in the 90s. Absolutely – they are perfect! Hello! Can I use my old Yashica T4? Thanks! A rangefinder isn’t a point-and-shoot, is it? I’ve got an old Konica u-mini AF laying around that I got for free a couple years ago. Will that work? It’s plastic and auto everything. Hi hamish its a shame my yashica t4 is excluded, but I think I have some contenders from a Canon sureshot A-1, then waterproof camera covered on this blog, Is the Canon sureshot A-1 cheap enough, I got for 15 usd. The sureshot A1 is pushing it a bit – they tend to go for a lot more than that don’t they?! Yes I know, but thanks for accepting it. After all Sureshot A-1 and WP-1 are the same. Can 2 participants share 1 camera? My friend and I wants to join but neither wants to buy new camera as we are both saving for new lenses. Olympus Stylus Epic/ mju 2 – is it ok to use ? Also, Is Minolta AL-C ok ? No – they are worth way more than £10! Can I enter with Nimstec 3D Accuprint? If yes, can I post it as .gif or just a single photo or can be layed out all of the 4 frames? Oh, sorry. It has to be point-and-shoot. Right. The M4 looks immaculate! Can website contributors join? If so, does a Minolta Riva Panorama qualify? I bought it for a bit more, but it is a plastic automatic point and shoot. Already posted this but I have a very beat up olympus mju II, lens cover broken off, light leaks, dirty lens forever. It lives in my back pocket and I landed some rocks on it while hiking. Couldn’t sell it for 3 euros on a fleamarket, but its my tool. Hope these beat-up ones qualify, if not you should make a competition for those of us who buy a camera because its good enough but cheap enough to not care and keep with all the time! Is the Olympus tripp 35 ok? Is Olympus Stylus Infinity (Mju i) alright? I know someone posted a photo taken with an Olympus Stylus, I just wanted to make sure! ….just saw the question I intended to ask answered in the submissions: Is a disposable camera OK? Guess yes! Can I use Kodak single use film camera?! Great entries so far! It’s a pity I can’t submit my €3 Canon EOS 650 😉 Even a new battery was more expensive than the body. The long closing date might actually give me enough time to shoot something and enter! I don’t think I’ve shot anything with a camera cheap enough this year. 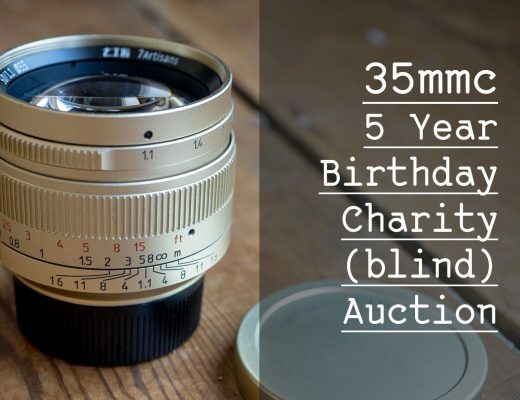 I put a roll through a Mju II Zoom 80 Panorama (decent camera, I’ll review it eventually) and promptly sold it for £30, rendering it ineligible! Now I’m wondering if I can stomach putting a roll of Portra 400 through a Holga K205 (cat camera)! Hi, would a Samsung AF slim be accepted? Ive seen one cheap but don’t really know much about it. it was in grandma’s closet for many years and it does work, I’ve been looking for an excuse to test it out. Hi there, nice offer and nice blog too! Can I join with a Nikon analog camera F75 or a Smena Symbol? Greetings from Oslo. Agfa Optima Flash Electronic Sensor? 1. Hand made diy pinhole camera? 2. Fixed focus and exposure plastic toy camera, which I got it as a free gift? What about an Olympus XA? If not I’ve just bought a £8.99 Canon AF35J/ Sprint from ebay that will surely be suitable! So many great submissions so far. I wouldn’t want to be the judge in this competition. Can I use a Kodak KB20? Would an old Olympus Trip fit the bill? It’s the only compact I own. Prices seem to fluctuate a bit – some go for a fiver, some sell for ten times that. Just submited my entry, but is there any way that your blog confirms it was submited successfully? Because when I looked back there wasn’t any confirmation (a pop-up note or sth like that) so I’m a bit confused. Wow, dont know how I missed that. Haha. Thank you for approving my entry. Great contest, great challenge. Do photos have to be from 2016? Or can i submit something thats less than a year old(but from 2015)? Can I use any of these : Minolta AF-C, Samsung AF-Slim, Olympus AF-1, Yashica AW-mini, Minolta Hi-Matic AF2? I bought a Minolta Weathermatic 35mm point and shoot for $10, would I be allowed to shoot with that for the contest? Can I use Minolta SRT101? How do you know what types of cameras contestants use ? Is the contest worldwide? I mean how to prove the photo was taken by a P&S camera not a SLR? any experienced photographer can tell the difference. might be more difficult for an ammeter. You say that, but I reckon I could show pictures taken with compact cameras that I’ve bought for next to nothing that would fool you – equally, some SLR lenses are rubbish. My guess is Hamish will rely on the investigatory powers of the CIA to conduct forensic analysis of each photo and match it to the appropriate camera. Either that, or just rely on people being honest. I have to ask you again if the Minolta AF-C is ok to use _ I asked further up and got a no but see you have said yes to another questioner. Hello dear, does an pentax zoom 105R count ? Hi! Is a Fuji Quicksnap Flash Disposable Camera allowed? hello why my image is disqualified ? You’re such a patient man, dude. Hello does the Revue 400 L also work ? Sory i have to decide what camera i will use. 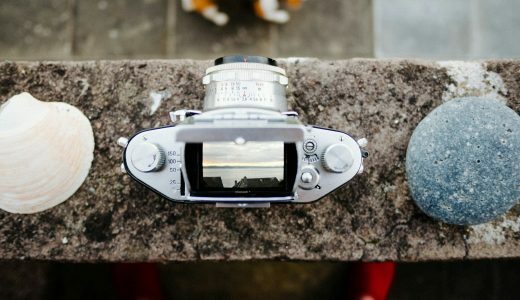 Didn’t know that Minolta AF-C is approved, to me it’s kind of a really decdeent camera. People used to compare it with XA’s. Have I said yes to AF-C somewhere? I didn’t mean to if I have – too many questions! Yeah you say yes to it along with 3 others from a comment up there. I’m just curious cause I’ve had an eye on AF-C for a long time but couldn’t even afford one. Haha. AF-D would be more suitable, wouldn’t it? I posted my entry a few days ago and i don’t know if it went through. Could you tell if it went through? Thanks ! Hi, it did, but the Stylus Epic is worth way more than the £10 limit, sorry. I bought it for 99 cents haha oops! alright thanks! Cool contest by the way! I’m just blown away with what can be done with a thrift-shop camera. Maybe I need to stop lusting for a Leica? Hi – can I enter with an Argus c3? What about the Olympus Is 10? Nice shot, but why lie about when it was shot? Uploaded on July 1, 2015, taken on 02/02/16? Haha, poor Hamish. You’ve caused quite the stir here. I’ll get my film back this week and hope I can contribute to these fantastic entries. Wow, sure is a success! Hamish Hi. Are you okay with me using a canon sure shot 105 for the contest entry? I see that my photo isn’t up here so i guess you think that the camera is too expensive, but in the same time here are pictures taken with Oly stylus ( oly mju) series that cost a lot more then mine oly superzoom 70g. In my part of the world (eastern europe) most of the compact cameras cost little to no money with exception of the contaxes and the yashica’s. Event the mju is about 15-20 USD so i think that the entry photo is taken with cheep enough camera. If you still stick to your decision just tell me to add something else. Is a half-frame autofocus camera (Konica Recorder bought for €5 recently) okay, or does it have to be a full-frame 35mm one? I’ve submitted my Venice photo. Any rules I’ve broken? It’d be great to take part! I can’t find it? When did you submit it? Thanks for including, I posted under my non-internationalized name Krzysztof. Sorry for the confusion! Hi. I`ve submited a photo but I can`t see it anywhere on the post. I have to wait or what happened? Hi there! Would just like to ask if a Canon Autoboy 3 or Olympus Trip 100R qualifies? Thanks! Hey Hamish, I sent in a photo the other day and was just wondering if you received it? Big fan of your site! Amazing luck, then! Ah, the envy… 😉 Good luck! Hey, would a Pentax Zoom 90 WR qualify? And out of curiosity, how can we check the value of a camera before we shoot with it? And also, what if the camera was 5, but the batteries were 10? I’ve Just submitted a picture but I am sure Pablo will win, big up for that Image! I saw a picture where the guy mentioned the camera’s cost of 49 euro. How did that photo get accepted? Also, I ‘ve always felt that kid/pet pics are manipulative. You can’t look at a kid/pet picture and analyze it from any point of view other than how cute the subject is. And kids/pets are always cute. You don’t need to worry about the final judging process, that will be done later. I’m guessing that either you’re completely snowed under with fabulous enties, or mine was booted for some reason. In any case, thanks for running another competition. It got me out into the sunshine and shooting again ? Hamish, thanks for doing this great contest. I currently don’t own a crappy/low tier point and shoot, so I’ve been trying to find one. What about the Konica Pop mini? Also found the Pop 10 aka Tomato, but it seems to sell for more only cause it’s red. Would a Canon Sure Shot Z115 be alright? Also, is the contest open internationally? Thanks in advance. I actually love my we Canon AF35J/SPRINT, glad I entered if only to find this ace wee camera. Just posted a load more shots from it on the Flickr group. I found a Canon Classic 120 (same as the Prima 120) of your review. Seems like fun to shoot. I know it has various shooting modes but is it okay for the competition? Hi again, I entered my photo yesterday but it hasn’t shown up yet. Was it not eligible or something? Cool! Thanks for the quick response. Have a read and get in contact if you’re interested. You accepted my photo, but I don’t see it on the blog? Should I resubmit? God speed little black brick. Finally caught by with my developing & scanning. I went with a Canon Sure Shot Supreme in the end. Prices have actually started to creep up over the past couple of months, but the majority still go for under £10 on eBay so hopefully that’s okay. I’m not surprised they’re on the up as I’m quite impressed with what I got out of it, although it does have a couple of major idiosyncrasies. I’ll review it once I’ve shot some colour. Rollei Prego Micron? Non Zoom ver. ok, how about post process? how far it can go? color balance, contrast, invert to bw, crop? don’t want to discuss this only curios why my entry is not listed. Fujifilm disposal Ace camera should at least pass the $10 term. Is converting color image to BW will affect any judgement? I’m just trying to make sure the photo I posted went through? Hi, Just submitted a photo of a beach here in Philippines. Hope it went through. Thanks! I submitted on the 19th (deadline day!) Am i too late? I think that there are a lot of cameras here (like the first Mju) that are priced over the price limit …anyway I’ll try with a Vivitar CV35 found at home. Hi Hamish, just checking if my Canon MC was too expensive or the photo sucked? Hi Hamish , it was a bit of a rush I know, but has my pic made the cut? Hi, there was a late entry yesterday. Camera used: Minolta Hi-Matic F. Was that entry qualified? I also got in an entry right before closing. Can you confirm if eligable. Bummed I missed the deadline. Is there anyway I can submit a few days late? I have a shot from an expired disposable that would be perfect! Pretty please?